Nanyang is located in Central China and southwest of Henan province. It is the headwork and water source of the Central Route Project of South-to-North Water Diversion and also the head of the Huaihe River. Nanyang is located at the transitional zone between the northern subtropic zone and the southern warm temperate zone, with warm and moist climate, abundant rainfall and distinct seasons. It is an ideal acclimatization place for flower transplanting from north to south and east to west. It is especially suitable for the growing and breeding of rose, magnolia and other plants. Nanyang rose has a long history of more than 2,000 years. In the long-term cultivation and breeding, Nanyang has not only preserved many cultivars of heritage rose, but also developed unique roses of big flowers, bright colors and strong stems. More than 2,300 rose cultivars have been preserved and cultivated in Nanyang. It is an important rose germplasm bank in China and plays an important role in China rose societies. In 1995, rose was approved as the city flower by the standing Committee of Nanyang Municipal People’s Congress. In 2000, Nanyang was named “Hometown of China Rose” by the State Forestry Administration and China Flower Association. Nanyang rose covers a wide range, mainly Hybrid Tea Rose, Floribunda Rose, Miniature Rose and Climbing Rose, etc, more than 800 cultivars, like “Son of the East”, “Kibou”, “Hiog” and “Rainbow”, etc., and of different colors such as white, yellow, orange, multicolor and so on. Nanyang is the largest rose cultivation base in China. The planting area is nearly 100,000 mu, with annually more than 1 billion rose plants output from nurseries and 2 billion yuan’s output value. There are more than 100,000 rosarians and 266 rose enterprises, among which 6 are rose leading enterprises. Nanyang roses sell well to 30 provinces, cities, and autonomous regions throughout China and are exported to more than 20 countries including Japan, Germany, France, Holland, and Russia, etc. The supply of rose plants accounts for 80% of the domestic market, and the export volume takes up more than 70% of the total in China. In recent years, Nanyang Municipal Party Committee and Government have taken the flower industry (rose and magnolia dominant) as a people enriching industry, a sunrise industry and a happiness industry and pushed forward the development of rose industry from the high level. With the annual rose festival, Nanyang rose has been sold all over the country and even faraway throughout the world. 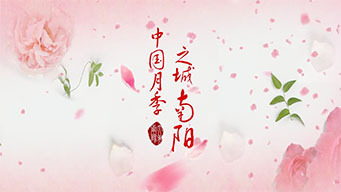 Particularly since 2016, when Nanyang Municipal Party Committee and Government made the strategic decision to apply for hosting the 2019 WFRS Regional Convention and to build Nanyang a world famous rose city, roses have been widely planted in the city and rose parks, rose avenues, rose gardens, rose communities and rose courtyards have successively been built, thus forming a multi-level rose landscape system and displaying to the world a dynamic and thriving rose city, with good ecology and beautiful landscape. This will enhance the sense of pride of the citizens, improve their comprehensive quality and happiness index. It will also push forward the construction of urban infrastructure, enlarge the urban framework, facilitate sustainable and rapid economic and social development of Nanyang and make the rose industry a real eco-friendly one that will not only beautify the environment and but also enrich the people.